I haven’t been able to find a picture of Rob where he’s not smiling, and the stories a few of his classmates shared yesterday place him within a long line of kindhearted and fun-loving Saints who breathed so much life into our hallowed halls. Each year at graduation we present the Robert T. Jordan ’86 award to the IV Form boy and girl who display the qualities that made Rob so exceptional: a love of humanity, an appreciation of friendship, a willful perseverance and resolve amidst adversity and opportunity, a unique and refreshing perspective on life and all its possibilities. Rob was also known for wearing Hawaiian shirts around campus, and his classmates often wear them at graduation to present the award. They’re the ones we’re all envious of as we move to loosen our ties. 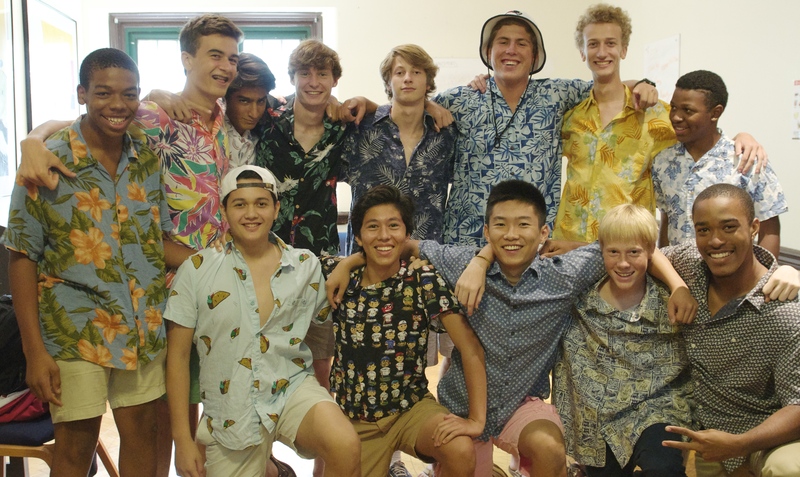 If Rob were here today I would let him know about the group of students who recently decided that Saturday morning classes would be a bit livelier if they wore Hawaiian shirts. I’d hope my note would make him smile knowing that his spirit of fun and independence still runs strong at St. Andrew’s.